Are you looking for ways to unleash your entrepreneurial spirit? If you’ve got the vision and drive it takes to build a financial services business, you’ll need access to the resources and support that can help you power your success. 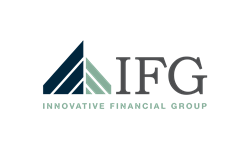 At IFG, we have the blue-print and the tools you’ll need to make it happen. To determine if you have what it takes and are serious about a career in financial services, we would like to talk to you. In today’s world, the ability to align with a firm that is backed by a well-known financial services company is critically important to your ability to succeed. In addition, you may want the freedom and flexibility to build your practice under our IFG brand, or under a brand that is as unique as you are. We also offer you the ability to choose among multiple affiliation options that best fits your vision of success. In choosing the option to fit your needs, you can customize the level of independence and support you want – and, as your business evolves in the future, you can elect to change with it. To apply, email resume to [email protected] or call (678) 338-4438. We look forward to speaking with you!